There's a total solar eclipse today. One of the few places it will be visible is Easter Island. The Senior Editor of Astronomy.com, Michael Bakich, is blogging from Easter Island to describe the blackout as the moon blocks out the sun's light. The blog is here; Bakich's entries can be accessed from here. 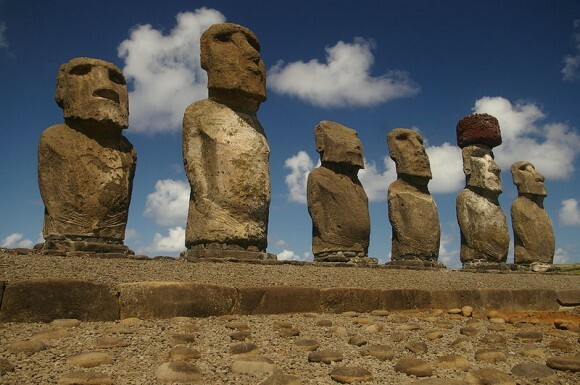 Easter Island is hosting some 4,000 tourists, who have been arriving over the past few days by plane and boat. Thousands of people are travelling to French Polynesia to see the eclipse. Reports here, here and here. The eclipse coincides with July's New Moon, that starts today at 19:40 Universal Time. What are astrologers saying? My favourite comment so far came from Zodiac Arts, which summarized this eclipse as: "'Venetian Gondoliers Giving a Serenade' - The symbolic degree of this particular eclipse denotes happiness as an overtone of social integration."